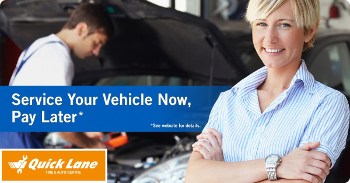 Quick Lane is your one-stop shop for basic auto repair services like oil changes, brake repairs, new tire installation and more. You never need an appointment. See why life is better in the Quick Lane.